It was not a banner fall/winter for sewing projects. In fact I only ended up with one homemade Christmas present (well, not counting the chocolates, but more on those later). 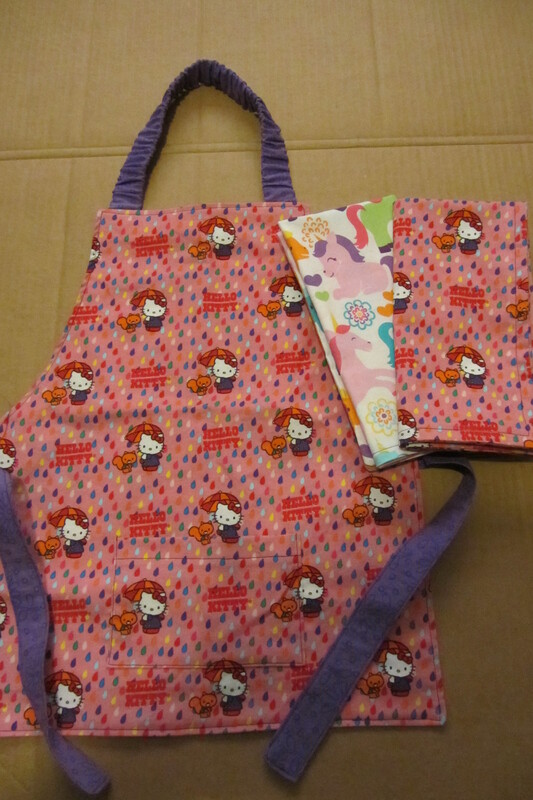 Luckily I had a request for father/daughter aprons from a friend or I might not have sewn at all. I needed the inspiration and this was a perfect project that I really had fun with. Because they were aprons, and because these two are fun goofy people, I had free reign to have as much fun with the fabric as I wanted. Though as my two sewing friends with attest (and enforce) I am not allowed to sew with fabric where the pattern forms straight lines because I just don’t take enough time to get them to line up – well… somehow I ended up breaking that rule on both aprons – oops. But I couldn’t help it, I saw the perfect fabric and had to have it. So, with each one, I really took my time, ironed at every step, measured and straightened and lined-up the fabric and patterns and cut slowly (and channeled those two sewing friends the entire time) and it worked! 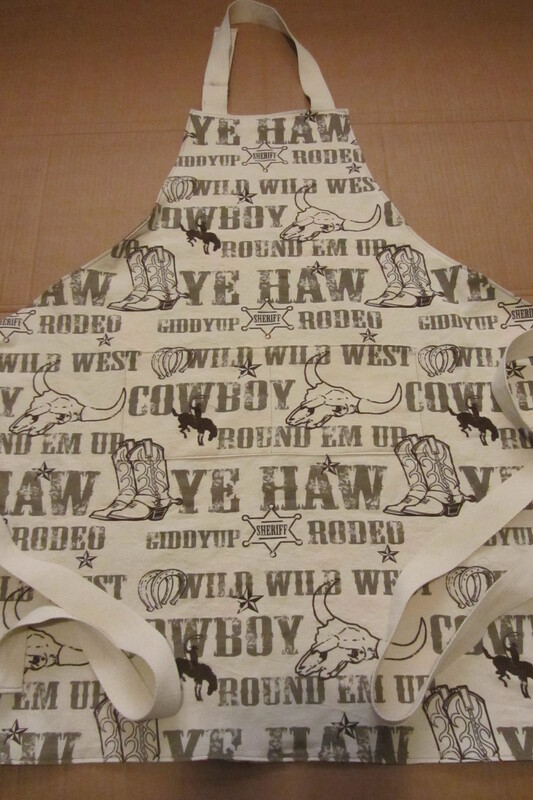 Well, the hello kitty fabric is at a slight angle, but the cowboy fabric is perfect. And both pockets are straight and line-up pretty darn close to perfect. And because I slowed down, I really got into the process and am so much prouder of the final product. Maybe lines is what I needed after all? Dad’s apron: Text straight? check. Sheriff’s badge front & center? check. pocket lined up? check. Daughter’s: I had leftover fabric from both aprons so made napkins to complete the set. 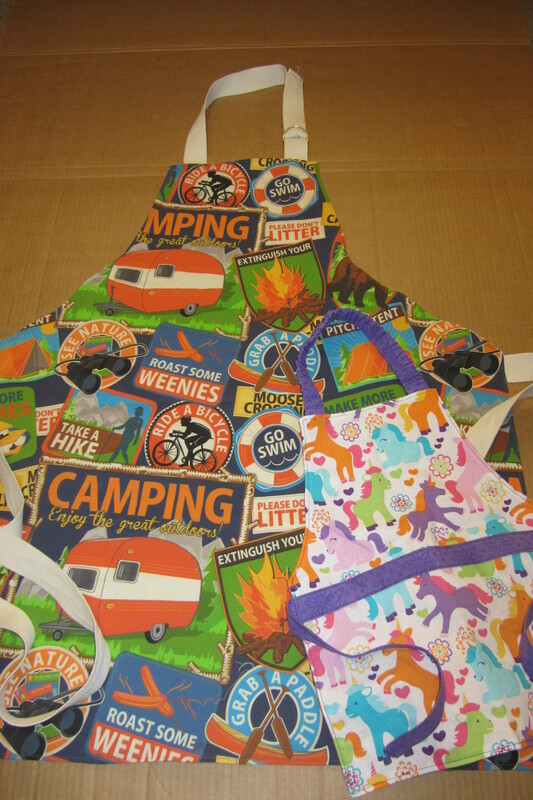 The back of both aprons – yes they’re reversible – there was too much good fabric to choose from. 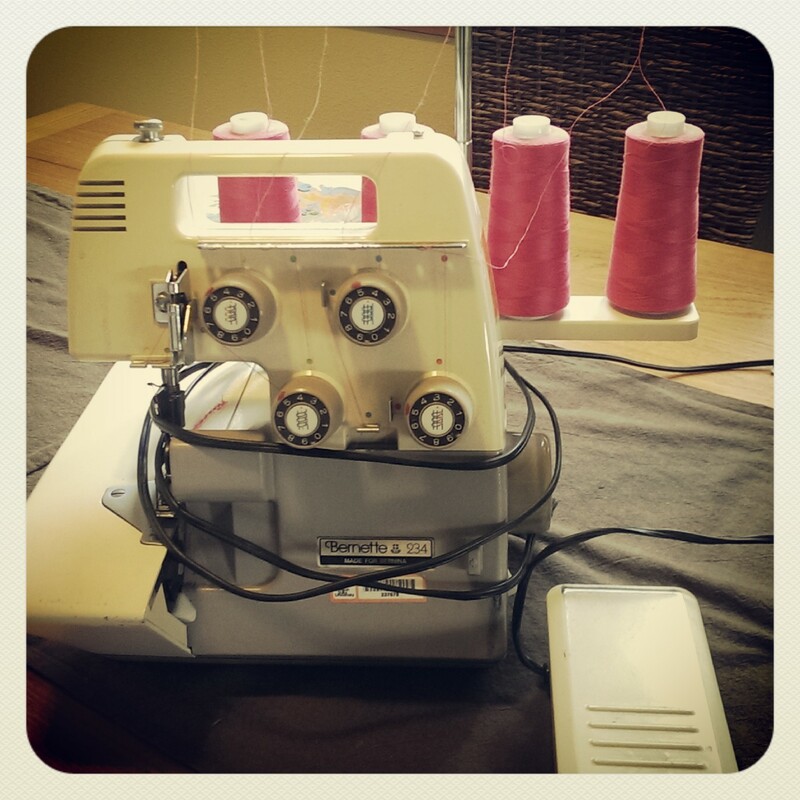 Bonus photo: I’m now the proud owner of a serger – hopefully this will help me step it up and start sewing some more.